Capture Flash files and Flash screen from open web pages and cache files, and save them to disk, perfect Flash Capture software for you . 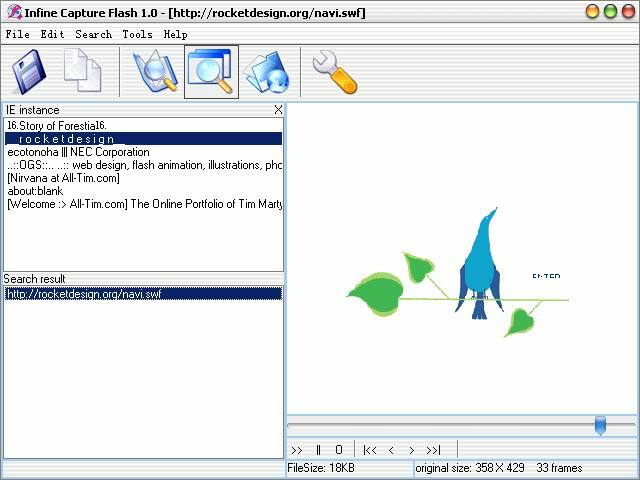 Infine Capture Flash is a flash capture software allows you to capture flash files from all open webpages and temporary Internet files, and save them to disk. 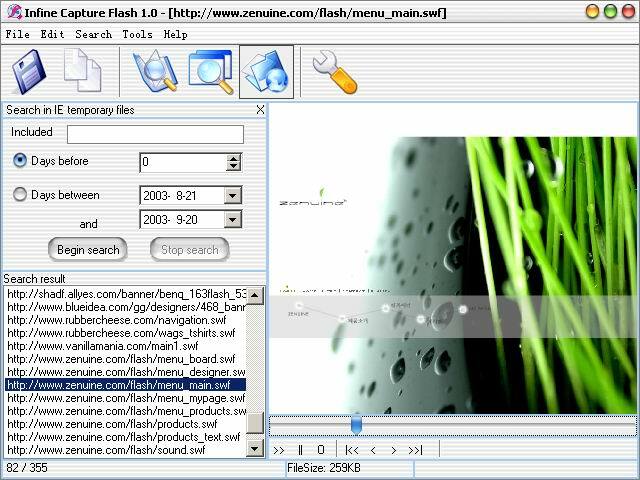 You can preview each Flash file (.swf) with the built-in viewer. With the flash capture program, you can get any Flash file you are visiting or have visited. It captures all flash file from local cache files, so with Infine Capture Flash you needn't waste any bit bandwidth unnecessary. Search flash files from Temporary Internet files and from all open webpages. Search function: search flash ( *.swf ) file in Filename, Source URL.